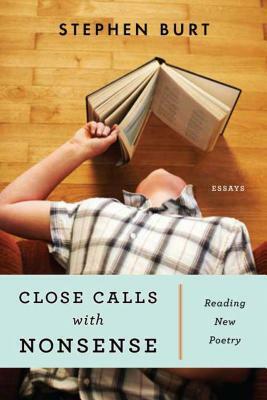 Stephen Burt's Close Calls with Nonsense provokes readers into the elliptical worlds of Rae Armantrout, Paul Muldoon, C. D. Wright, and other contemporary poets whose complexities make them challenging, original, and, finally, readable. Burt's intelligence and enthusiasm introduce both tentative and longtime poetry readers to the rewards of reading new poetry. As Burt writes in the title essay: "The poets I know don't want to be famous people half so much as they want their best poems read; I want to help you find and read them. I write here for people who want to read more new poetry but somehow never get around to it; for people who enjoy Seamus Heaney or Elizabeth Bishop and want to know what next; for people who enjoy John Ashbery or Anne Carson but aren't sure why; and, especially, for people who read the half-column poems in glossy magazines and ask, ‘Is that all there is?'" STEPHEN BURT is the author of two critical books on poetry as well as two poetry collections, including Parallel Play. His essays and reviews have appeared in The Believer, The Nation, and The New York Times Book Review. He teaches at Harvard University.